The popularity of Tequila and mezcal is putting strain on raw materials. Does that mean the quality of the liquid in the bottle is diminishing? A team of expert tasters set out to answer the question. Tequila is hot property right now. Sales are soaring, consumer interest is buzzing, brands are diversifying, and leading spirits players are snapping up Jalisco’s haciendas at a rate of knots. The category’s rapid growth has largely been spurred by the premium-­plus players, who have lured drinkers away from their shot glasses, sticky with salt and lime, and given them a taste for higher­-end expressions made for neat sipping and craft cocktails. But Tequila’s surge in popularity – particularly at the 100% agave end of the spectrum – has put massive strain on its essential plant, meaning suppliers are facing debilitating price hikes. 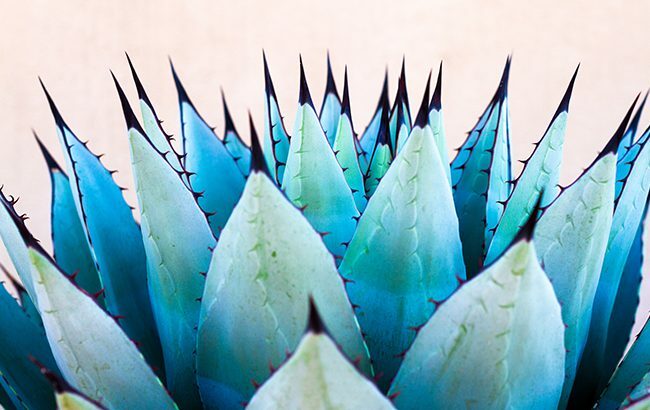 Demand for natural sugars has augmented pressure on agave, as has a booming interest in Tequila’s trendy cousin, mezcal. Tequila has negotiated a recurring cycle of agave glut and scarcity throughout its history and today, brands are in the thick of a crisis that looks set to last for some time. The difficulties and opportunities surrounding the Tequila and mezcal categories mean producers face some pressing questions – chiefly: how can quality be sustained in the midst of such pressure? Are shortcuts being used? Is success being taken for granted? Can value for money be guaranteed for consumers? These are some of the questions our annual Tequila & Mezcal Masters sought to answer. 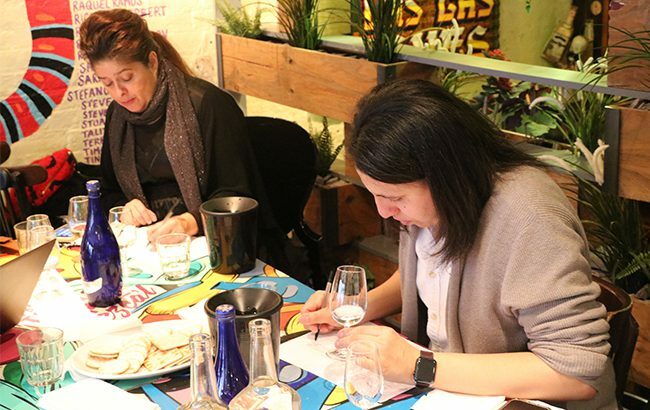 The Spirits Business invited two panels of experienced judges to Café Pacifico in London to subject a selection of Tequilas and mezcals representing the breadth of the category to a rigorous blind­-taste test. 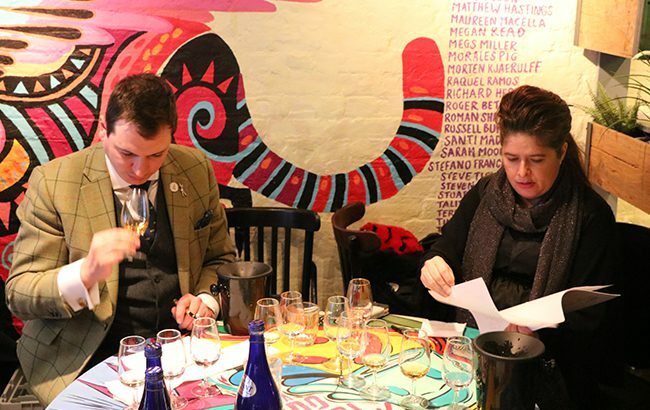 The first team was chaired by me, Amy Hopkins, editor of The Spirits Business magazine, and also included: Antony Moss, director of strategic planning at the WSET; Carlos Londoño, partner and owner at Café Pacifico; and Eduardo Gomez, founder of Tequila & Mezcal Fest. To kick off the competition, we assessed a flight of super­-premium blanco Tequilas made using 100% agave. Here, we awarded the competition’s highest accolade – a Master medal – to Olmeca Altos Plata, which impressed the panel with its ripe and zesty flavour of orchard fruits balanced with hot pepper. Judges also enjoyed the expression’s smooth and long­-lasting finish. Success in the round didn’t stop there: “easy-­to-­drink” Sierra Tequila Antiguo Plata and “earthy” Casa Noble Crystal secured Gold medals. Londoño said of the latter Tequila: “The flavour transports you to an agave field. It has a great minerality.” Two Silvers were awarded to Código 1530 Blanco and Tequila Mi Campo Blanco in the round. 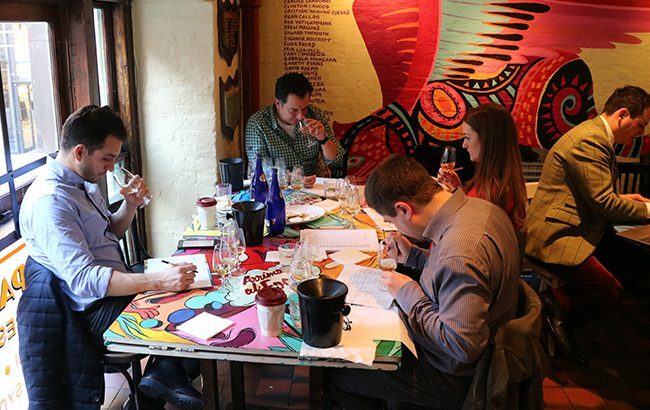 The competition’s second judging panel was chaired by Tobias Gorn, award-­winning writer and specialist consultant, and included: Nicola Thomson, director of Fifteen71; and Bryan Rodriguez, spirits buyer at Harvey Nichols. They tackled a flight of higher­-priced 100% agave blanco Tequilas and also discovered an expression worthy of the Master title: Sierra Milenario Tequila Fumado, which is made using a unique smoking process with mesquite wood. Gorn’s panel admired the Tequila’s progression of “dry and powerful” flavours, from “grassy and peppery” at the start to “balanced bonfire smoke” on the finish. Another Tequila from the same brand – Sierra Milenario Tequila Blanco – won Gold in the flight, as did “subtle and elegant” Código 1530 Rosa and “malty, sweet” Tequila Fortaleza Blanco. KAH Blanco Tequila rounded off the flight with a Silver medal. Reflecting on the 100% agave blanco Tequilas, our tasters agreed both flights demonstrated a refined balance of flavours. Judges then turned their attention to the 100% agave reposado Tequila contingent, where they were looking for a gentle oak influence in liquid that had been aged for a minimum of two months, but less than a year. Cazcabel Tequila and Tequila Mi Campo Reposado swiped Gold in the premium price tier, winning praise for their textures and personalities. Olmeca Altos Reposado, described as “bright and fresh with notes of varnish”, augmented the Gold standard in the super-­premium leg. At the top end of the pricing spectrum (ultra-­premium), my panel awarded two Gold medals: to KAH Reposado Tequila, said to have an “exceptional” finish, and Casa Noble Reposado, described as “long and complex”. Two Silvers followed in the form of Sierra Milenario Tequila Reposado and Cenote Reposado Tequila. The reposado leg of the competition complete, the judges geared up to take on the 100% agave añejos, which have been aged for at least a year, but less than three years. Here, judges were looking for even greater oak influence and a textural refinement that comes with ageing, but with fresh agave coming to the fore. Balance was therefore essential if entrants were going to impress. First up, in the premium sub­section, Olmeca Altos Añejo won a Gold medal for its “clean nose” and “hot and oily” mouthfeel. Similar success followed in the super-premium sub­section, with “soft and elegant” Corralejo Añejo Tequila and “ripe and full­-bodied” Sierra Tequila Antiguo securing Gold accolades. The Master standard resumed in the ultra-premium leg, with Casa Noble Añejo taking the top title for its “incredibly expressive nose”, “full­-bodied texture” and “great complexity”. The flight proved to be one of the most successful of the day, yielding an additional four Golds and two Silvers. Of Corralejo 99000 Horas Añejo, judges said they enjoyed its “ripe fruit and sweet popping-­candy” aroma, and its flavour of “fudge and lemon parfait”. Demonstrating a different profile, Código 1530 Añejo was praised for its “vegetal and earthy notes”. Another Master followed in the extra añejo leg: Herradura Seleccion Suprema, which, despite its elegant and rich oak influence, had “so much freshness”. Moss said: “It’s got the influence of oxidised wood that gives you rancio character, which underlies other notes of fruit and pepper.” In the same flight, Casa Noble Extra Añejo won Gold, while Corralejo 1821 Extra Añejo and Sierra Milenario Tequila Extra Añejo won Silver. In the Mixto Blanco round, Olmeca Blanco received a Gold medal after impressing with its notes of green apple and pear drops. “This would be great in a cocktail,” one judge said. Silvers followed for Sierra Tequila Silver and Tiscaz Blanco. Olmeca was again top of the pack in the Mixto Reposado round, securing another Gold medal, while Sierra Tequila Reposado won Silver, as did Olmeca Extra Añejo in the Mixto Añejo round. Then came the mezcals – a section the competition judges were particularly excited to get their teeth into. Mezcal, which has become increasingly popular in developed cocktail markets, differs from Tequila in three key ways: the spirit can be made in more Mexican states than Tequila; it can be made from a variety of agave species, while Tequila is restricted to just one (Weber Blue); and while agave piñas are cooked in large industrial ovens before distilling Tequila, the piñas used to create mezcal are cooked in an underground pit lined with volcanic rocks, giving the spirit its smoky flavour. The contingent got off to a strong start with a Master medal for the “very expressive” Mezcal Koch El Tepeztate in the joven mezcal round, where only expressions made with 100% agave were assessed. “This has great balance between sweetness, spiciness and smokiness,” observed Londoño. “I found notes of pineapples, banana skin, a little mace, cherry yoghurt, caramelised apples, and also rocket and eucalyptus. It was incredibly complex.” The expression also secured the accolade of Tequila & Mezcal Taste Master 2019 after judges retasted all of the Master medallists at the end of the day and gave the most points to Mezcal Koch El Tepeztate. Gem&Bolt Mezcal also bagged the top title for its complex profile of “fresh spearmint and roast chicken on wood fire”. Gorn said: “This is a very expressive representation of mezcal with a lingering spicy, minty and sour finish.” The rest of the flight proved strong, with four Gold and three Silver medals awarded. In particular, Gorn’s panel enjoyed Montelobos Mezcal – Espadin’s notes of “roasted almonds, vanilla fudge and agave with a persistent smoky undertone”. In the flight where reposado mezcals came under the spotlight, another Master was given to the “round and creamy” Mezcal Amores Espadin Reposado, which was said to balance flavours of “soft peach and apricot with gentle smoke and sweet spices”. The round also produced a Gold medallist: Se Busca Reposado Mezcal. Another Se Busca expression was the final mezcal to swipe a medal in the añejo heat, impressing with its “excellent balance”. As the day’s proceedings neared the end, judges turned their attention to flavoured Tequila and Tequila-­based liqueurs. Here, three Golds and three Silvers were awarded. Gold medallist Patrón XO Café Liqueur was identified as a particular highlight and was described as a “well executed” liqueur, showcasing flavours of “sweet liquorice” and “creamy coffee” that did not mask the underlying note of “sharp agave”. After assessing the spectrum of flavours in Tequila and mezcal, judges noted that despite the acute pressure the category faces, brands are finding ways to diversify and ensure that, on the whole, quality remains high. Producers also appear to be adapting flavour to appeal to international audiences. As consumer interest continues to build, these questions, along with many others, will come to the fore. But one thing is certain – a heartening number of industry leaders are doing their utmost to ensure pressure does not cause Tequila’s bubble to burst. Click through the following pages for the full list of medal winners in this year’s Tequila & Mezcal Masters.